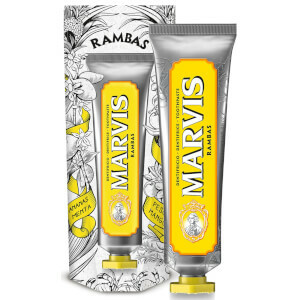 The Travel Flavour Toothpaste Trio offer a unique approach to oral hygiene from luxury toothpaste brand, Marvis. 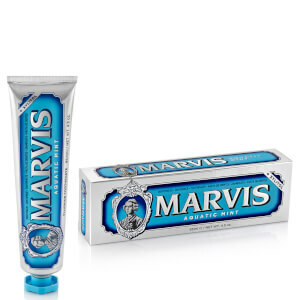 Developed to keep teeth and gums healthy while preventing decay, the formulas ensure your mouth feels clean and your breath is always fresh, with specifically targeted actions within each unique flavour. Presented in opulently designed gift packaging. 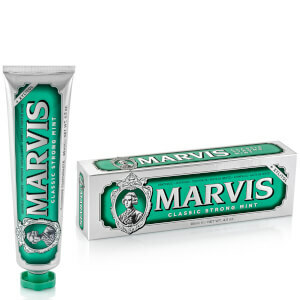 Classic: Glycerin, Aluminum Hydroxide, Aqua (Water/Eau), Silica, Aroma (Flavor), Cellulose Gum, Xylitol, Titanium Dioxide, Sodium Laurel Sulfate, Sodium Saccharin, Sodium Citrate, Citric Acid, Benzyl Salicylate, Linalool. Cinnamon: Glycerin, Aluminum Hydroxide, Water, Silica, Aroma (Flavor), Cellulose Gum, Titanium Dioxide, Sodium Lauryl Sulfate, Sodium Saccharin, Sodium Citrate, Citric Acid, Eugenol, Limonene, Cinnamal, Cinnamyl Alcohol, Benzyl Alcohol. 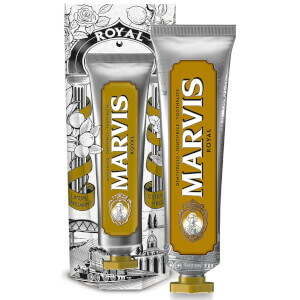 Whitening: Glycerin, Hydrated Silica, Water, PEG-32, Tetrasodium Pyrophosphate, Aroma (Flavor), Cellulose Gum, Xylitol, Titanium Dioxide, Sodium Lauryl Sulfate, Sodium Saccharin, Limonene, Eugenol, Bezyl Alcohol.